A heavy snow fell in West Islip. Photo by LongIsland.com Staffer. 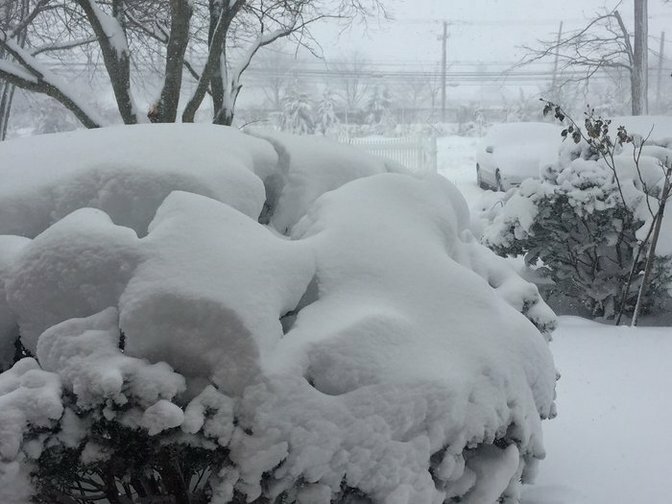 Despite the fact that snowfall totals were nowhere near as high as originally feared, most schools around Long Island closed for the storm that hit the region on Tuesday, March 14th. While snow may not have piled up in any significant way, warming temperatures in the middle of the day Tuesday caused much of the day’s precipitation to turn to rain and melt away some of the snow that had fallen, resulting in a wet, slushy mess. When temperatures dropped back below freezing overnight, the danger of all that water freezing back over and creating black ice was apparent, which led many districts to have delayed openings on Wednesday, March 15t– giving the roads a chance to thaw before sending school buses out to pick up students. As schools reported to us on Wednesday, March 15th, 2017. Not an official state record.